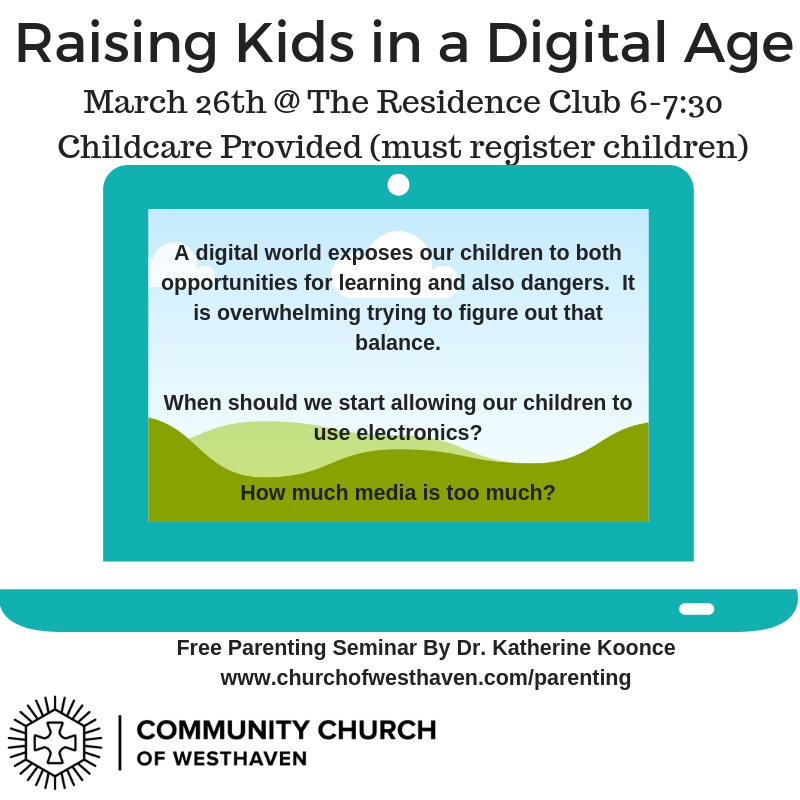 Whether you have a toddler or a tweenager, this seminar is for you!! About the speaker: Dr. Koonce is a parent, an author and veteran educator. She has worked for over thirty years in a variety of school and community settings including serving for sixteen years at Christ Presbyterian Academy. She is a very engaging and interactive presenter. Dr. Koonce currently serves as the Head of School at The Covenant School in Nashville. This talk has left standing room only in other locations, you won’t want to miss it! The digital age we live in poses new challenges for parents of children of all ages. As families, you must decide purposefully the role technology will play in your homes. When should you start allowing your child to use electronics? Tuesday March 26th, 6-7:30 p.m.
Child care provided for children ages 2 – 10, please register children here. Email Ellen Dunn, ellen@churchofwesthaven.com to let us know that you are coming and if there is anything we can do to serve your family!